Teens and college kids in Massachusetts love to have bonfires. 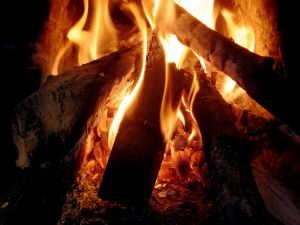 While a bonfire can be a lot of fun, it is not hard to imagine how a giant tower of burning, unstable wood could result in serious personal injury. One of the more famous bonfire accidents occurred in 1999 at Texas A&M University during an annual event known as the Aggie Bonfire. During that horrific incident, which featured a world-record sized bonfire, the logs collapsed while lit and resulted in 12 deaths and more than 20 other serious personal injuries. While this event got a great deal of national media attention, there are still bonfire accidents happening each year that do not manage to capture national attention but still result in serious personal injury. According to a recent news article from the Westwood, Massachusetts Patch, the Westwood Police Department was called to respond to a teen bonfire after it was reported a girl had been injured. Police were first called to the bonfire when neighbors called with complaints of loud noises. Police say when they arrived at the scene, they saw teenagers who appeared to be drinking alcohol. They reported finding a lot of beer cans. Once they told the teens their party was over, the police went to extinguish the bonfire. It was then that they found the girl, who had been near the fire, stepped back, and fell, causing her to fall further down a 20-foot rock ledge and get wedged in between two large boulders. She suffered a head injury during the fall. She was 16-years-old and was not believed to have been drinking that night. It took firefighters around 20 minutes to get her freed from the rocks between which she was trapped, and they provided immediate medical attention for her head injury. First responders then rushed her to a local Boston level-one trauma center, where hospital officials said she suffered a serious head injury as result of the fall. Our Boston personal injury lawyers urge all homeowners to make sure teens are not allowed to use their property to hold parties where alcohol is involved, particularly if they are engaging in dangerous activities without adult supervision. It should also be noted, contrary to what many parents believe, it is not legal to furnish alcohol for teens, even if there is adult supervision. Many parents take the approach that if their children are going to drink or party anyway, they might as well do it at home while they are supervised and not driving. While there is always a benefit to teens not drinking and driving, providing teens with alcohol and letting them party at home is still illegal and can result in a personal injury lawsuit if any of the teens are injured during the party. On the other hand, if your child was injured at a friend’s home during a party in which teens were provided alcohol, you may have a valid case against the homeowner for negligence, and that parent’s homeowner’s insurance policy may be able to be used as source from which to recover damages in a personal injury lawsuit.